How did Canada pay for the Trans Mountain pipeline? How was it integrated into the government once bought? Are taxpayers on the hook? Get ready to be confused! 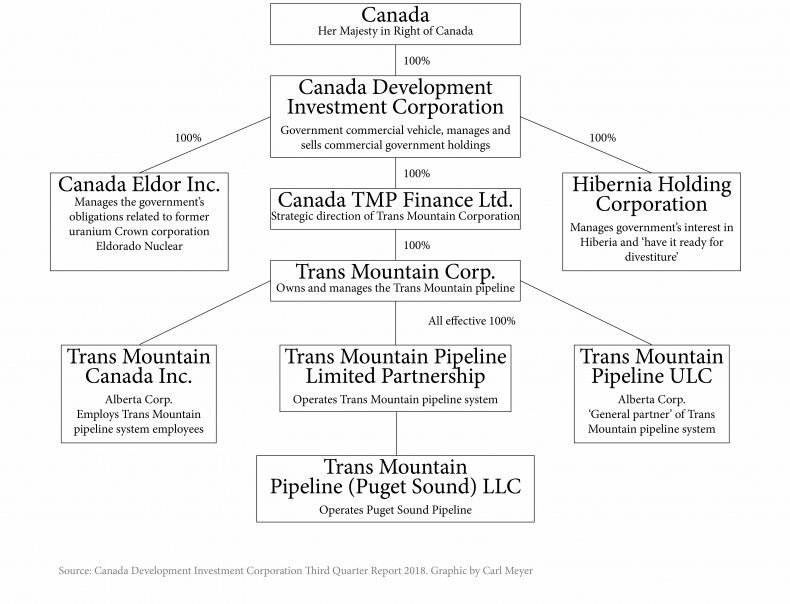 I present to you: the corporate structure of Canada's pipeline, complete with org chart! The story starts with a little-known Crown corp called the Canada Development Investment Corp, or CDEV. For years it has managed 2 entities: 1) Canada's 8.5% interest in the Hibernia offshore oil project, 2) liabilities + retiree benefits related to a decommissioned uranium mine. CDEV’s world changed forever on Aug. 31 when it acquired the entities that constitute the pipeline. 2 weeks earlier, 1 of its subsidiaries, “Project Deliver II” changed its name to Trans Mountain Corp. It bought the pipeline system entities from Kinder Morgan for $4.427 billion. Scientists are once again warning about #climate armageddon. Thousands vetted the best science out there. More extinction, death and disease is in store if we don't act fast.